Theme/Topics: Christmas, sharing, optimism, “waste not, want not”. Opening and brief synopsis: “Mr. Wiilowby’s Christmas tree came by special delivery. Full and fresh and glistening green – the biggest tree he had ever seen.” But to his dismay the tree is too tall! He calls upon his butler to chop off the top, and so begins the tale of a Christmas tree that brings joy to homes of all kinds. Over and over the top of the tree is trimmed, becoming a tree for smaller and smaller homes. Instead of serving only one family, Mr Willowby’s tree becomes a tree for seven. Children will be delighted when they see where the last, smallest piece of the tree ends up! Links To Resources: Mr. Willowby Activities, Stacking Trees, Preschool Discussion Topics, Gift Tag Activity. Why I Like This Book: Catchy rhyme, a charming story and a theme of generosity and making the best of whatever comes along all combine to make this a delightful holiday tale. From Mr. Willowby right down to the last recipient, each character uses just what he or she needs and the rest goes on to someone else. Nobody says it isn’t big enough. Rather, they all feel overly blessed. The art is warm and engaging, with each little home and family cozier than the last. Pitch: On the day of his brother, Jason’s funeral, 17 year-old Ric’s anger explodes, and he races Jason’s car through the streets, crashing and badly injuring jogger, Kate. Ric is sent to a juvenile justice centre, where survivor guilt and grief set him on a reckless destruction course. Help comes through his music and from an unexpected source in Kate who is struggling to put her own life back together. This needs to be short and sweet. Your long sentences are somewhat confusing and an editor would have to read it twice to figure out what you are saying. Basically, Ric is angry after his brother’s death. Did he cause it, was he with him? Is that why you’re implying survivor’s guilt? Be more to the point. You want the reader to be intrigued, not guessing. And don’t be afraid to use cliché’s. Sometimes they can get the point across quickly and in fewer words. Can you say Kate is battling her own demons? Something like that. I think an editor will be intrigued if it’s more direct and to the point. I find Erin’s comments very interesting and helpful, and I hope you all do, too! And now… duhn duhn duhn… the moment you’ve all been waiting for… duhn duhn duhn…. THE SURPRISE!!! Presenting, the Perfect Picture Book Badge! LOOK! This gorgeous badge was designed for all of us by the incomparable Loni Edwards. Loni, please be so kind as to tell us a little about yourself! Loni: I am a digital artist, although I have been known to dabble in watercolor, acrylics and pen & ink. The core of my art is digital though. It is created by using Photoshop techniques and a Wacom tablet. I sketch out my idea, then scan it into Photoshop where I ink and color. Influences are Charles Schulz, Jim Davis, Walt Disney Studios, and many artists that I have come into contact with mostly through social networking. I attended the Art Institute of Seattle where I had the opportunity to take a class with William E. Cummings, a Pacific Northwest painter. His use of color and movement influenced me greatly. I love to use bright, bold colors in my art. It is rare that you see me do anything else. I also like to incorporate joy and humor in my art. I have participated in a lot of volunteer events, such as Heroes4Haiti, Art4Japan, and the Ripple Project. One that is special to me is the Project “Smile”. It is based in Poland. The exhibit collects picture/art smiles and autographs. It is then toured in children’s hospitals exhibiting around the world. My piece was included in the exhibit that was seen in Cairo, Egypt. It is a wonderful exhibit, and I hope someday soon it makes its way to the United States. I have also participated in a number of artistic challenges, including PiBoIdMo 3 years in a row. Thanks so much, Loni, both for sharing all that and for creating this beautiful badge that we will all be able to proudly display on our blogs! PHEW! You’re going to be needing another bowl of Wheaties after all that! Sorry it was so long, but everything just piled up onto today! I hope you like the badge and enjoyed meeting Loni! So now, go have a great weekend everyone, and remember, the Holiday Contest opens bright and early Monday morning! (Please scroll down that link to see the rules.) I can’t wait to read all of your stories!!! Loni's art is wonderful. I wish I could draw like that. 🙂 Great picture book suggestion today. I love Christmas books! I think the badge is utterly adorable. I have been getting to know Loni's work on FB the past few weeks and love it. Thank you both so much for this cute badge, which I will proudly put on my blog. Mr Willowby's Christmas Tree has a real traditional, warm feel to it, and you have linked to some great activities here. Erin's questions and thoughts were as helpful as ever. I would never have thought a cliché would be OK. Always learning new things. Wonderful post today, Susanna, and never too long! Thanks, Laura – I'm glad you like the book – it's one of my favorites! And Loni's art is amazing! The editor made some very valid points. I didn't realize cliches were okay in pitches. Yay!!! Stina – I know – you wouldn't think that. But I can see her point that sometimes something familiar can get the point across faster. I can't stay long now because I have to get the kids ready for school, but OMG that badge is so adorable!!! Just had to say that now… back later. So cliches have a usefulness as well. Very interesting and helpful comments from Erin. And the book you selected this week sounds delightful! I will heed your “get thee to a library” injunction. The badge is wonderful! Kudos to Loni for such an adorable creation. And thanks so much to you and Loni for this. And finally, the book I've reviewed today was given to me by my cousin Bev for my birthday. She couldn't resist it — and after I'd read it, neither could I. My Name is Elizabeth! Yes, that's the name of the book. Enjoy! Oh my word Susanna, I had to write a to do list just to get to the comment form! 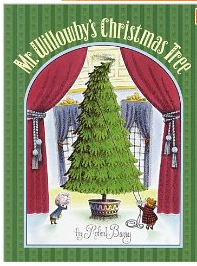 First, read about Mr. Willowby's Christmas Tree. Second, add my link for my PPB. Third, make a note that cliches are OK in some uses. Fourth, grab that awesome badge and link it back. Fifth, eat a donut. Sixth, make sure I properly follow Loni and Tweet that I'm proudly to display the badge on my blog. Well, I may need to take a nap before I revise my Christmas entry. I want to post it on Monday. :)Then, I'll read all the other PPB. I was up late (did not take the Time for Bed message to heart) and read several posts before my head hit the pillow. “Waste not want not”–oh my, that is one of my mom's fave sayings. I heard it a million times when I was a kid. The badge is super cute Susanna, perfect! First let me say – great book! I'm going to try and find it at the library. I love the badge that Loni designed, how cute! I will be proud to post it to my blog! And I'm glad I decided to start participating in PPBF in the new year. Love the idea! What a great post! I need to make my list of to do's just like Stacy! lol. Your selection for PPBF sounds intrigueing. I love holiday books and this one sounds like it hit the Spirit of Christmas as well as entertain the kids. The badge is awesome. Thanks so much! I will adore having it on my blog. I went to Loni's website and love her art. And so glad to find out she's a participant in PPBFs. The pitch comments from the editor are valuable. Who knew you could use cliches. I agree with the sentence structure. Shorter more to the point will be better. Julie – I know, didn't she do a GREAT job? I love it! Coleen – I think so too! Glad you like it! Jennifer – I'm SO glad you're going to be joining us! The more the merrier and we have quite the little group going here – very friendly, supportive and fun! What a darling Perfect Picture Book choice. Very fitting for the holiday season with the Christmas tree but also about the sharing and caring that seems to go along with the tale. Also, I do love that badge. It's so cute. Makes you just want to giggle. Too adorable. Great job Loni. And thanks Susanna for a fun Friday post. Am I the only one having trouble with the badge? It turns my blog page black, though the badge is still beautifully visible! I LOVE the badge! This is awesome and I can't wait to put it on my blog. Diligently finalizing my entry for the holiday contest. Love Loni's art! I love your selection — I'm embarrassed to say I am not familar with the book, as my daughter may have been older when it came out. Great message for kids and wonderful activities. I absolutely love the badge. I was indeed surprised. I think it will highlight the books even more and people will just be able to click on our blog badge an go directly the to list! Gret idea! 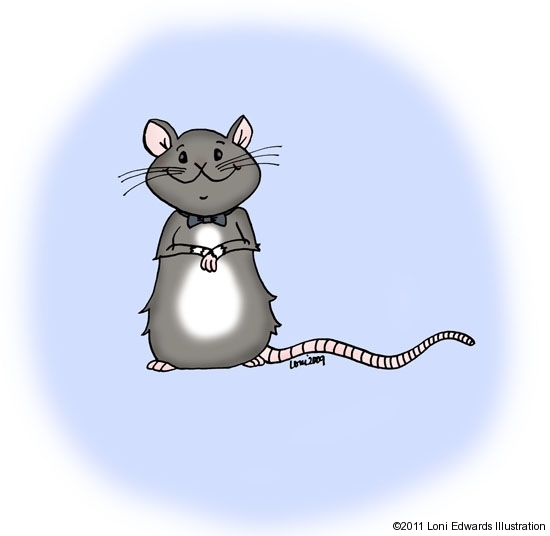 And, Loni did such an outstanding job — it is absolutely adorable! Thanks everyone for the nice compliments on the badge. It was an honor to create it! Sussana was a dream client to work with. So positive and quick to respond. It was a pleasure. I appreciate the visits to my site. If you are on any of the social networking sites and we haven't “met” yet, let's connect. I love social networking and it is fun to meet new people. Loni – I know, I know! Too busy today to sort it out. I'll try, I promise! Kelly – Yay! Glad you like the badge! Let me know if you have any trouble with it – Joanna said she did. And now you have a fun book to look forward to for next year! will have the check the book out, looks interesting. love the badge, can't wait to put it on my blog! 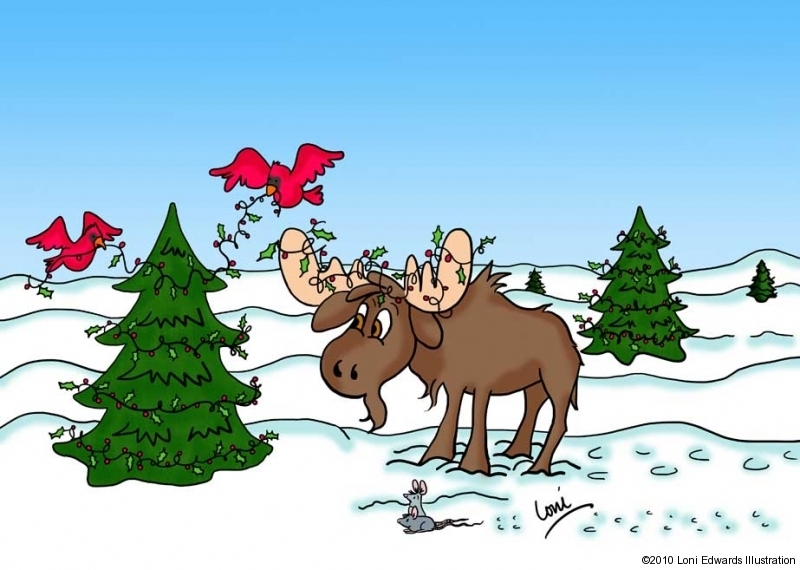 A heartfelt Christmas story that's told in rhyme? How have I not seen this before? Will need to rectify that. Oh wow! Love the badge. I too have been getting to know Loni's work. Loved your book to Susanna, such a lovely warm traditional message. I seem to be always coming in late. But I have loved reading everything on this post. Thankyou Susanna. Ooh, thanks for the badge Susanna and Loni! It will be going on my blog-in-progress toute de suite! Oh no my comment didn't show and can't link either. Am I blacklisted lol? That is such an adorable badge! Loni is an artistic genius! 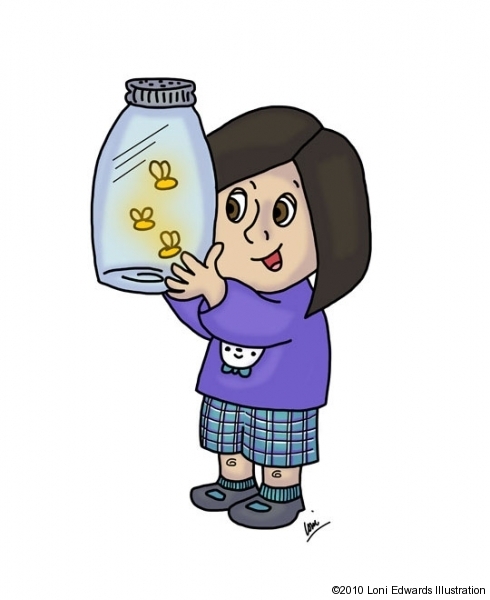 Love her cute illustrations! Mr. Willowby's Christmas Tree is the perfect recommendation for this time of year! It sounds like a fantastically heart-warming story, plus I love picture books that rhyme! Very interesting feedback from the Editor, about it being OK to use cliches in your pitches! I know cliches are frowned upon in the actual story, but never knew they could be acceptable in pitches. Does that also apply to queries, I wonder? Loni and Susanna, I love the Perfect Picture Book Friday badge! Just put it on my blog. Wish I could participate more, but I'm not able to blog as often as I'd like to. Hope to participate more in 2012, though. 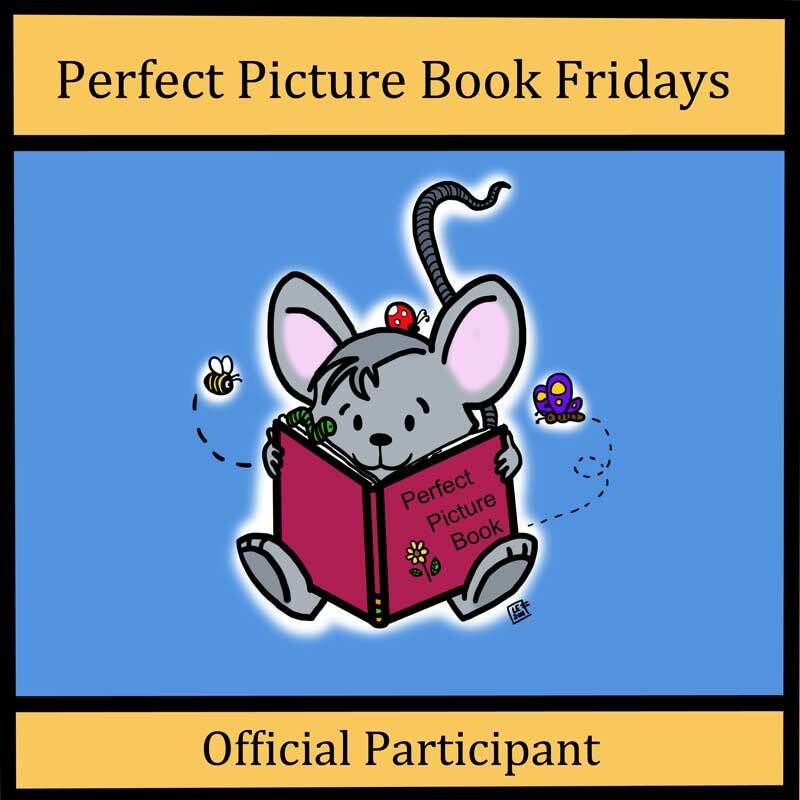 Perfect Picture Book Fridays is such a great idea!